After the unsatisfactory creative result and the upheaval that was Gold Afternoon Fix the band set about regrouping for the altogether darker and denser Priest=Aura. In truth the band hadn’t completely recognized the drop in form from Starfish to Gold Afternoon Fix because despite its success Starfish had already been a musical compromise with simplified arrangements, sparse instrumentation and an altogether non-psychedelic feeling. Gold Afternoon Fix was more of the same. It wasn’t till later that it dawned on us that it was not a worthy follow up on any level. Starfish at least had some coherence and sounded like a band. Despite this discontent with the sonic direction of both albums, they were our two most successful records. Still, we felt we were trapped in an unsatisfying commercial feedback loop; only there was no feedback. Due to the reasonably healthy sales of Gold Afternoon Fix in the wake of the success of the previous album and a minor radio hit ‘Metropolis’, the option on the record contract was picked up and plans were set in motion to find a new producer and location for the next intriguing chapter. After the stress of L.A. the band decided to record Priest=Aura at the old familiar 301 studios in Castlereagh St, Sydney. All the albums before Starfish were recorded there. These were familiar surroundings and home base for Steve and Peter and this location was supposed to settle us and get us into the serious business of making a credible and satisfying, yet commercial follow up to our two confusing American recorded extravaganzas. So who was going to produce the next album? 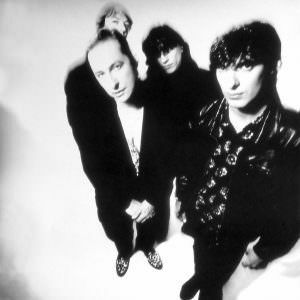 We had decided we didn’t want an American producer or sound or temperament for this record and although we had had conversations over the years with Scott Litt, REM’s producer, English names had also come up including John Paul Jones from Led Zeppelin who we had met in Nashville and Tim Palmer who had recently worked on Tin Machine with David Bowie. There is a story (that may be apocryphal) that Steve tells about John Paul Jones. We wanted JPJ for Gold Afternoon Fix as he’d come to see us play in Nashville and we had met him back stage after the show. But apparently our manager was absolutely against the Led Zep supremo. I suppose he didn’t know that JPJ had been a very successful session musician and string arranger before Led Zeppelin even began. He had also just produced Children by The Mission, a number two album in the UK. But nope, the manager wouldn’t have it – his reasoning, “What did he ever do?” Also at this time Led Zeppelin were still seen as a dinosaur from the past. Oh how that changed! Years later at the release of the live Led Zeppelin DVD at Loew’s cinemas in New York City, I met JPJ again and rued the fact that we hadn’t got to make that record with him. All he said was “Big Mistake”! We finally landed on Gavin MacKillop, a wry Scot. His CV was an odd one, Shriekback, General Public, Hunters And Collectors, The Chills, Toad The Wet Sprocket and Luxuria to name a few. Luxuria was probably the name that got Steve most interested because he was always a big fan of Howard Devoto and Magazine (Luxuria being Devoto’s group) and he probably felt that Gavin would be sympathetic to the importance of the lyrics. Perhaps it was the trusting Scottish demeanour, the lilting accent and playful smirk but even though he wasn’t an obvious choice and wasn’t quite available for our start date, we decided that he was the man. So unfortunately, because of his and our commitments, he wasn’t able to come to rehearsals but this may have been a good thing. It allowed us to build our songs without interference – no ripping them apart and putting them back together – no simplifying and editing out the chaotic bits. The rehearsals for this period are actually quite blurry for me as I had a lot going on. All About Eve were playing big gigs in the UK and were signed to Phonogram, a major label, and I was busy with photo sessions, touring and TV. I actually missed an opportunity to appear on Top of The Pops for the ‘Farewell Mr. Sorrow’ single as I was in Australia at the time working with the church. My stage tech Adam took my place for the show, miming my parts with aplomb. The writing sessions for the album are a little hazy. Suddenly we were in a room in Sydney with a different drummer. We had to try to recapture the magic and you never know what’s going to happen when you add a different ingredient to the stew. But Jay Dee seemed to click with us creatively, although his style was completely different. He at least seemed interested in being there. We jammed and jammed like we always have and wrote a whole selection of moody and solid pieces. 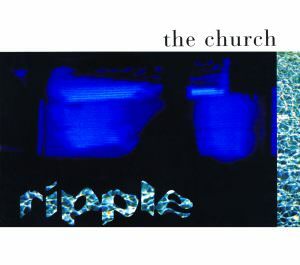 I remember one day after meandering around some jam for a while, Steve stopped and said, “Ah this is going nowhere”, and I said (ever optimistic), “Ok, what about this?” I hit the first four chords of ‘Ripple’, everyone joined in and we had the beginnings of what would be one of the best tracks on the album. I remember naming a few of the pieces that we wrote – ‘Ripple’ being one, and some of these other evocative titles – ‘Lustre’, ‘Paradox’, ‘Feel’, ‘Mistress’, ‘Dome’, ‘Chaos’, ‘Kings’, ‘Film’. The idea of one-word titles to describe the music we had written gave Steve impetus to write a lyric based on the chosen word. Only three songs had two-word titles – ‘Swan Lake’, ‘Old Flame’ and ‘The Disillusionist’. So we were back in control – at least musically. We still had a major deal in America and Jay Dee Daugherty had agreed to go to Australia and make this record with us, although he wouldn’t officially join the band as he was still in the Patti Smith Group. This was around the time that Patti Smith was about to rise out of Detroit obscurity and return to making records and touring in her own right. Jay Dee very much wanted to be a part of that after ten years of silence from her, so he could not commit to us full time. Also, as I had joined All About Eve and was very busy making records and touring with them in England, fitting a church album in became increasingly difficult. In the same way that we asked Jay Dee to join the church full time, All About Eve had asked me to join them full time. 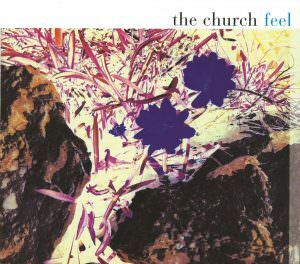 Like Jay Dee I had said that I would be very happy to commit to the band but I needed to be able to work with the church should the opportunity arise. Scheduling then became an issue. Gavin and Jay lived in the USA, I lived in Sweden and we also had to fit into whatever studio availability there was as well as Peter and Steve’s schedule in Australia. Somehow we worked it all out and a date was set. Only problem was that the band Gavin was working with at the time (Cry Charity) had a domestic issue. The guitarist’s wife was having a baby so the session overran and Gavin couldn’t make the start date for the recording. So we came out of rehearsals into the studio and spent a couple of days setting up drums and guitars and slowly orientating ourselves to this new album’s construction. Studio A at 301 Castlereagh Street has now sadly closed down. Oddly, Rancom Street Studios in Botany Bay (where we recorded both of our acoustic albums) bought the soundproofed doors. It was very strange to walk through them again but in a different building. Although it was a corporate enterprise and a rather large space, the atmosphere of Studio A was comfortable, not imposing at all and generated an old school warmth. You really felt like you were in a proper studio when you were there (high quality biscuits in the kitchen and assistants running around everywhere making you tea). We were in the centre of a major city but it never felt like that. It was secluded atop an unremarkable office building and when you were inside it felt like the world outside didn’t exist and when you were outside it was hard to imagine that this place existed at all. This made for a really good working environment and we were always very relaxed making records there. All the EMI offices were below – the business affairs, promotions and art departments – it was completely ‘in house’. At this stage we were no longer signed to EMI but were so familiar with the place that it felt like we were. Because of the size of the main room you could have the whole band and all their equipment set up without any trouble at all. The walls were all wood and despite the room being so big, it didn’t sound cavernous. There was a huge control room window that you looked into whilst you were playing, trying to interpret the expressions on the people’s faces – Sounds good? Something wrong? Play it again? Bad idea? It’s brilliant? Sometimes they may have been grimacing but not at us, just something technical. They may not even have been listening to you and your magnificent guitar part yet. When we arrived we immediately went about setting up Jay Dee’s drum kit in this large room and we put the bass amp and the guitar amps in the isolation booths. Our assistant engineer for the project was Guy Gray (who had worked with Midnight Oil on their breakthrough album Diesel and Dust). He was well versed in the technicalities of the studio so we proceeded to set up, get sounds, record onto tape and see what we had. We very quickly decided that this set up wasn’t right and we dismantled all the gear and put the drums into one of the bigger isolation booths and moved the guitars into the bigger room, isolating them from each other with baffles. 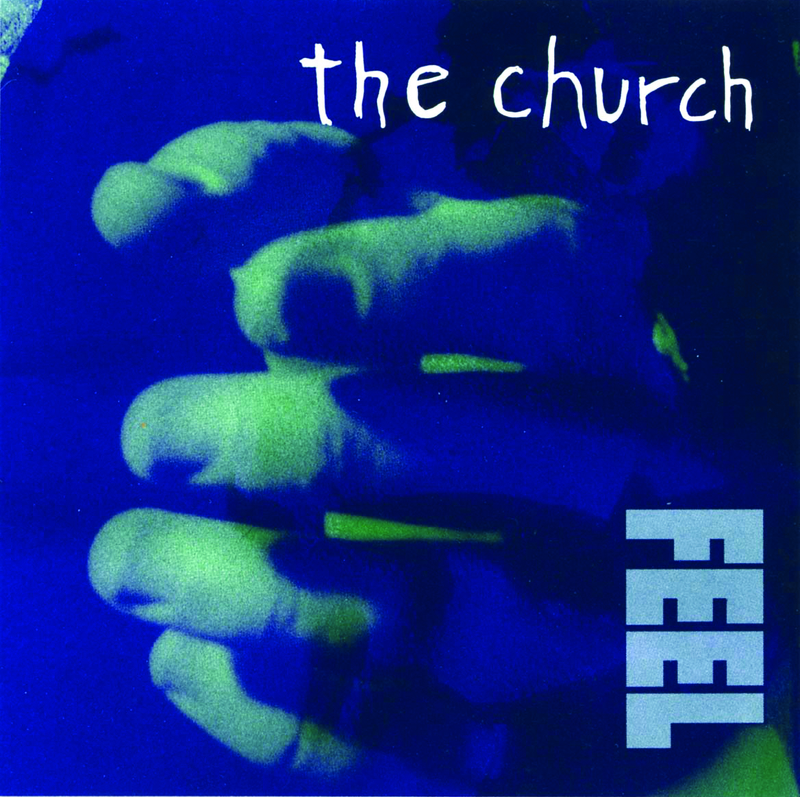 This was more how the church wanted to sound – bigger guitars and smaller, more natural drums. Ironically, although we swapped rooms, the drums still sound absolutely massive, a mixture of Jay Dee’s style and Gavin MacKillop’s taste. This is the polar opposite of Gold Afternoon Fix, and for me they sound too big, or perhaps they are the defining element – you decide? Gavin arrived and all was well. He was a lovely guy; smart, funny, a good sense of humour and knew his stuff. He wasn’t freaked out by some of the more obscure tracks we had written. He wasn’t afraid of using sonic effects and he wasn’t afraid of chaos. He didn’t try to restrain us. It was more like he wanted to capture the beast we were about to unleash on tape, not control it in a cage. In America with Waddy we hadn’t felt like this – in fact quite the opposite. The opening track of the album is ‘Aura’ – a cinemascopic, epic soundscape with sprawling chords. But there is a feeling of unease too, like something unearthly, otherworldly is lurking in the background – dark angels in the rafters. Expectant rows of followers sit in anticipation, eyes glued to a doorway through which will come God knows what? As you await this unholy entrance the music begins to build until the drums introduce the bass, the sprang of the electric guitar and immediately – the voice. This is big music – captivating and as the narrator begins to tell you his story you realise you are at the beginning of a long journey – an adventure. You know you are being taken somewhere, perhaps to a mysterious destination of sprightly naiads and beguiling characters that will either love you or devour you. Sad and beautiful or vile and venomous, it’s going to be quite a trip. But the world-weary character in the lyric has already returned from something unthinkable before you have even taken your first step forward. So will the album be a flashback? Will we catch up with the character’s lot? Or is this lyric just one slice of one life on a battlefield, another a scene from a strange planet, and another from a fairy tale? Is this actually a concept album? A myriad of interlocking stories that all come together in the end or separate events without a theme at all? In the first verse the voice tells us “the opium’s running pretty low” – perhaps it is all a drug-fuelled fantasy? This is up to you, the listener, to decide. The song marches forward, formless yet with formulated parts. Strict and psychedelic, like a controlled experiment. The CIA canvassing for volunteers – “Here this is called LSD try it, tell us what you see?” Banks of wailing guitars take the voice in and out of verses of different lengths culminating in apparent answers or conclusions, or are they random opposites? When the incessant beat finally ends it all breaks down to beauty overridden with chaos finally ending in the abrupt squeal of tank tracks. 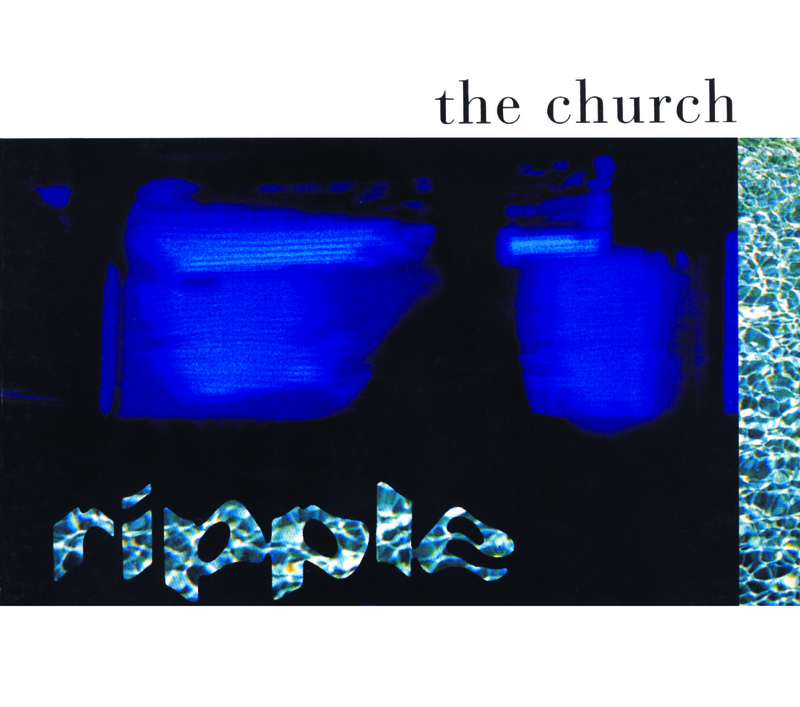 Before you have time to brush yourself off, the next track, ‘Ripple’ is already upon you. 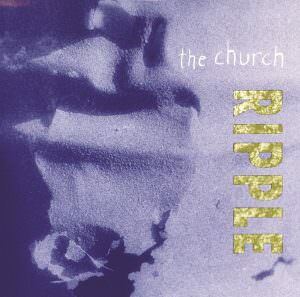 ‘Ripple’ became the ‘lead track’ from this album by default– we even did a video for it. But, it IS a stand out track on the album and has jumped in and out of the band’s repertoire over the years. There is a story about the recording of this track. I seem to remember it being quite hard to get down on tape. When we finally did there was a miscommunication in the studio and the whole intro of the song was mistakenly erased. In this situation there is no going back to replace the guitar and adding the missing intro to the take. It just doesn’t work like that. The whole feel, the tempo, the sound were just part of the moment and it could never be recaptured. We simply started again from scratch. Interestingly the version that we ended up with was quite different from the version that was erased. Somehow it was mellower and moodier – no one, including us, will ever know if this was a good or a bad thing. The song came out nicely anyway, starting with my Rickenbacker 12 string, playing those chords that I had come up with so spontaneously in rehearsals. All the songs on this album seem to have a mixture of solidity and mood, an odd combination. This had a lot to do with Jay Dee Daugherty whose style was completely different to Richard Ploog’s. The beat on this song is an essential element in the writing of the song. The bass drum and snare pattern, the flourishes on the hi-hat, the rolls, are all ingredients that make this song drive relentlessly forward. The bass is also integral, playing melodic, rumbling, double stringed patterns up and down the neck. On this record Steve played a Fender Vl, a ’60s six string bass with a tremolo bar (I happily own it now). This instrument, demanding a different approach, shaped the record greatly. It is tuned like a guitar but with special bass strings. The Cure have also used this instrument to great effect on many of their best records. Peter’s languid guitar comes in after the second chorus and leads to the odd breakdown in the middle, followed by the dynamic ending where I play some distant soaring solos. The song was arranged by the band and beautifully produced by Gavin MacKillop. The themes of broken dreams and discontent pervade the narrative, like a divorce already underway at a wedding, a relationship that can never work but goes ahead anyway. Perhaps an older man and a younger woman, out of time with each other, a chasm that is unable to be filled with simple lust or even love. 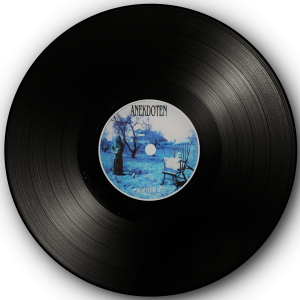 The song was released as the first single in a digipak CD sleeve with two extra tracks from the sessions that didn’t make the album, ‘Nightmare’ and ‘Fog’ (included here). Somehow the next track ‘Paradox’ (which is the little sister of ‘Aura’ and ‘Ripple’ in one song) flits by unnoticed like the glimpse of someone in the corner of your eye. The six string bass is there again making its mark, playing off the guitar. But then out of this perhaps unremarkable track comes the line “I’ve got a nickname for you, I call you weakness”. A harsh commentary on another person, a self-reflection of doubt? This brutal line sticks out of the sweet cake like a rusty metal spike. Although the lyric continues with reflections on strength in tune with the paradoxical theme, there is something cruel in the line. ‘Lustre’ rumbles out from the murky depths into the light. Not quite a nightmare but more a threat, promising uncomfortable dreams. Perhaps another comment on the pitfalls and shallowness of the game we as musicians had to play in those days, fighting for the right to be ourselves in a money mad business. Perhaps the stand out and most appropriate line in this song would be “Strike while the irony is hot.” It always brings a smile to my face when I hear it. And of course the irony is that it was our commercial success that allowed us to be in a studio like this making a non-commercial record. This is also an appropriate time to talk guitars, as on this track and all across the album I was using a brand new instrument called a Rickenbacker 250 model. It had a solid body with a double octave fret board, single coil pickups and a Khaler tremolo bar that I had asked Rickenbacker to add to the instrument for me. This guitar had given me a whole lot of flexibility in a whole new area of guitar playing and sound. I often used it with the volume pedal, bringing up pointed single notes into the musical mêlée. It was a much thicker, heavier sounding guitar than the ’60s hollow body Rickenbackers I had been using on previous albums – more of a doom laden sound which suited this heavier album perfectly. The Khaler tremolo bar meant I could encourage prehistoric roars and spine chilling shrieks out of the instrument. There was a locking nut and tuning adjustment at the headstock. It meant you could render the string completely loose by pushing down on the bar, or tighten them to breaking point by pulling up on the bar, and the guitar would still come back to pitch (in theory). It pretty much did what it was supposed to and I used this guitar on both Priest=Aura and the All About Eve album Ultraviolet with excellent results. You can hear it on ‘Lustre’ where I constantly hit the same notes over and over creating tension and mood amidst Peter’s Fender Stratocaster chord work. I always thought Gavin did a good job of helping us realize the guitar sounds and there are some rich tones on this album. A classic vignette follows in ‘Swan Lake’. Starting with brushes, soft chiming electric Rickenbacker 12 string, a plaintive guitar melody and a world-weary disconsolate lyric of abandonment in the grip of addiction. This is the most beautiful and certainly most tragic song on the album. Next comes ‘Feel’ – it’s the kind of song that sounds like a hit but isn’t. Drum machines mixed with drums as I remember. At this time ‘grunge’ was in full swing. We didn’t stand a chance. Even Kate Moss was wearing a plaid shirt. Yes we were escaping from the dumb photo sessions and the mistakes of Gold Afternoon Fix‘s production but we had inadvertently picked a direction in Priest=Aura that was simply not in tune with the times. We were too obscure for the masses and too sophisticated for the youth – too clever for our own good. We wanted to let our instincts guide us, not the record company or the trends. We thought of this approach as true freedom and really how else can a band be true to itself? We were happily unaware of what would or wouldn’t sell enjoying the less rigid regime that was Gavin’s world. We were like an exotic fruit seller in a vegetable market and everyone was buying potatoes. We were on a commercial downward spiral that we were never really able to recover from. 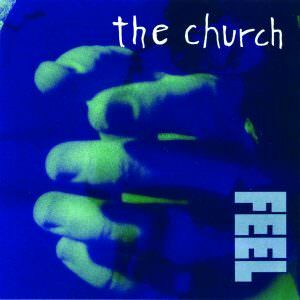 Also the ‘Feel’ single came out accompanied by a whole lot of meaningless, expensive, irrelevant remixes implemented by the record company that were nothing at all to do with us creatively. Another bad decision was that our agent in the US at the time, Marc Geiger, (who had originally introduced us into America as part of our management team) advised us not to tour. He suggested that our audience numbers would be so down it would be embarrassing to us, the promoters wouldn’t pay us decent guarantees and it would generally be a failure. He was right but we shouldn’t have listened, we should have gone and toured and accepted that there would be less people at the shows. But it is so hard to go backwards when you have made so much ground. We had gone from cult band, to hit makers with gold records and we were sliding back down the pole. Because of this decision the band was not able to get back to America to tour for many years and we totally lost momentum. Also, this period marked the beginning of Steve’s descent into drugs while Peter was becoming more and more disillusioned with the whole set up. Jay Dee was about to return to the Patti Smith Group and I was living in Sweden, had a small daughter and was doing well with All About Eve in England. The future looked dark and for a long while it was. The downward spiral (as Trent Reznor aptly put it) was evident in Steve’s pessimistic lyrics. I must mention the cover art in relation to the mood of this album. The picture of a wild dog/wolf on the cover was perhaps our greatest record sleeve. Maude Gilman, the art director at Arista, always had a stack of portfolios in her office sent in by budding photographers, people who could paint and people who could draw as well as graphic artists hoping that a band might use a pic or one of their ideas for an album sleeve. Well we did just that. We were looking through one particular artist’s photographs and out jumped the iconic cover that became the Priest=Aura sleeve. 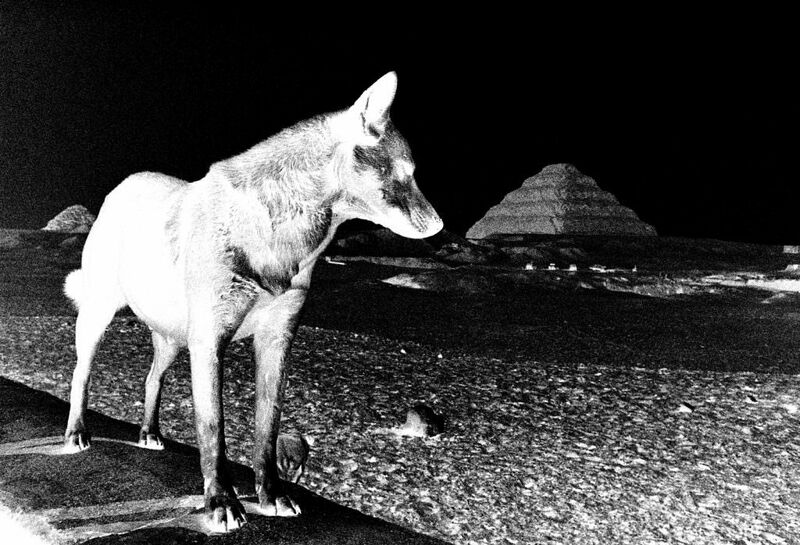 It was such an evocative picture with the wolf/dog in the foreground and the pyramid in the background. The lettering was added and we had our best ever sleeve. Unfortunately this was the beginning of the end of mass produced vinyl so this excellent cover was manufactured on CD only in the USA and the rest of the world. Thankfully, in Germany it was released on vinyl. How we got the title is stuff of legend. We were talking to a student backstage at a show and she was carrying a file with her Spanish vocab notes. Steve read it upside down and read it as Priest=Aura. In fact it said priest = cura; ‘cura’ being the Spanish word for priest. By Steve reading it upside down and not deciphering her writing properly, she had inadvertently named one of the great church albums. I wonder if she ever realised? Next up is one of my personal favourites on the album. ‘Mistress’ was tragic melancholy and a beautiful piece of music. 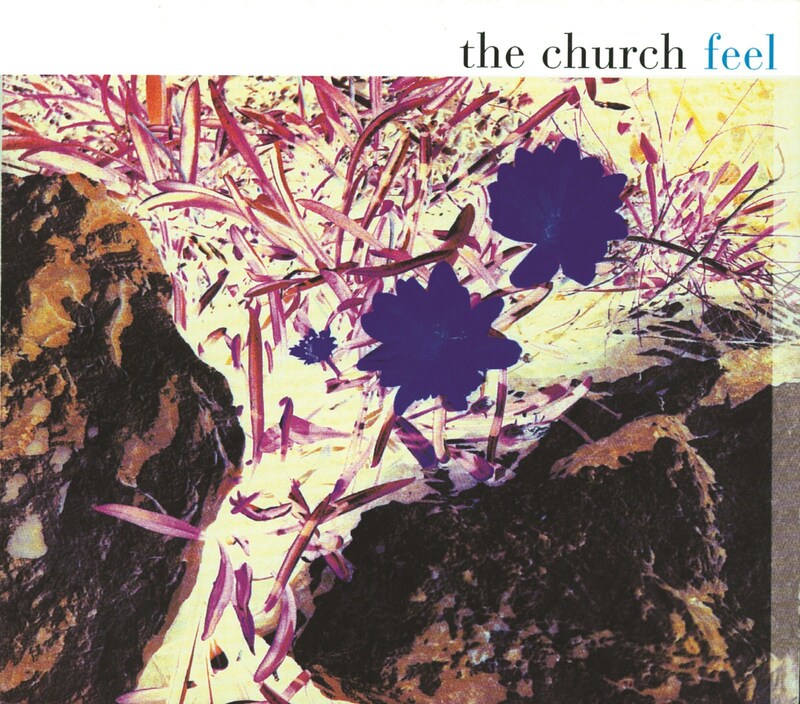 Yearning vocals, counterpoint guitar rhythms, atmospheric background and climactic chorus that somehow seemed to rise to a peak but maintain a simultaneously subtle demeanour and restraint. ‘Kings’ skips on to the album incorporating an electric 12 string digital delay pedal riff and electronic percussion setting up an unusual hybrid of electronics and lyrical fantasy. This song is never quite what you think it is. The drums thunder in from the reverberating canyons of some giant mountain range introducing a soft vocal that talks of exotic lands like Tunis and Sardinia but from another age when the legend of Nebuchadnezzar was still fresh in the minds of sultans and ancient palace swingers. “Herod” also appears 500 years later in the chronology as does “software” and “parking zones” so perhaps the flashing of ancient history is jumping out from a screen in an electronic, psychedelic, anachronistic collage. Musically the song, linear, drops in and out of phases in programmed order but peppered with Peter’s slashing chords over the rather strict tempo and rigid riff. ‘Dome’ follows a pattern of chiming electric 12 string and Peter’s melodic lines over a simple bass and drums. Again the song seems to be witnessing all eras of history simultaneously. Talking of Rome and barbarians but evoking Vonnegut’s Slaughterhouse 5. Backwards and forwards over the centuries, could this album be the only album ever made that covers 3,000 years of history? We find ourselves dancing an 18th century waltz in 14th century medieval times on ‘Witch Hunt’. ‘The Disillussionist’ is the ultimate in nasty characters. It is the glorification of negativity and decadence from yet another era. The character Steve creates in this lyric is the sickest of all his inventions. Cynical, evil, unscrupulous, antagonistic, perverse, egotistical, an intense horror of sizeable proportions but also tragic, pathetic and seriously damaged, a ruination in flesh and blood, doomed to feed on his own despair. The Brechtian chorus didn’t quite capture the syphilitic 1920’s miscreants and vagabonds that it was supposed to evoke. ‘Old Flame’ begins with a lovely six string bass, setting up a scene from a chilly autumn afternoon with a character (perhaps in a moment of weakness) reminiscing on what could have been. The empty street metaphor tells of how Naomi might be feeling inside. It’s another vignette, a novella with no drug-fuelled extravagance or fantasy, no far away twin mooned planet or time scale, just an evocative portrait of a woman and her very human emotions. It turned out to be a flat earth. I left the session before the vocals were completed to continue my tenure with All About Eve, returning to Australia for a national tour when the album was released. Our ship sailed over the edge at the end of the Australian tour to support the album when Peter left the band. This was a blow to an already sinking ship. Our relationship with our management had also collapsed and Steve was descending into a drug hell that he wouldn’t recover from for 10 long years. We were floating in oblivion. The record followed the pattern of selling half the amount of the previous one. With Peter gone, Jay Dee gone, Steve ‘gone’ and me continuing to work with All About Eve in England, there didn’t look like much of a future for the band. There was just one hope – we still had one more album to deliver on our contract with Arista records and this would be our only chance of not disappearing forever into the mists of time. It’s coming up to 7 years since you wrote this Marty and it reads like a “To Be Continued”. As with Steve’s autobiography it stops just when things were starting to get interesting. I know the liner notes were written for the 2010/2011 reissues and I’m guessing that it’s sadly unlikely the later albums will get that treatment any time soon, do you think you’ll ever complete your notes on each album? I’d especially love to hear your take on the next three albums, Sometime Anywhere, Magician Among the Spirits and Hologram of Baal with Peter dipping in and out and the introduction of Mr Powles. You could make a nice wee book in the style of the the Intimate Space 2010 tour programme collating all your notes. That would fly off the shelves. the thought of publishing these as a coffee table book has crossed our minds before. Thanks for mentioning it again. There won’t be any more musings though since this is 2018, a new life, new musical adventures, new beautiful people, new exciting projects. Check out the other pages on this website! If you love Marty’s writing, there is the indeepmusicarchive.net website or his new blog on this website. Cheers from the road from the two of us!